I was going to post this a few weeks ago, when I was on my Power Girl kick, but didn't bother out of sheer sloth. It's a good story where Power Girl punches Wonder Woman in the face, but I've left that bit out to focus on other bits. Now that it's topical, I decided I'd sort out this morning. Here are a few scans from New Avengers #15. One Nazi meets a well-deserved fate. Here are a few scans from Fear Itself #5. Here's more from DC's Retro-Active series, celebrating the comics of the 70s, 80s, and 90s, a.k.a. before Dan DiDio and his fellow jackals ruined everything, a.k.a. when DC Comics actually had integrity and quality. For the issue celebrating Superman in the 80s, out this week, we have a new story by none other than Marv Wolfman. It involves Destiny of the Endless and the Crisis on Infinite Earths, which is kind of fitting seeing as how Wolfman co-created the former and wrote the latter. Source/Interesting interview with Greg Pak. ETA: the cover is by Mike McKone. Vixen! Vibe! Gypsy! Commander Steel! This week's JLA Retro-Active issue spotlights the 80s. Gerry Conway, the writer and creator of the Detroit-era JLA, returns for a brand new story of that incarnation of the League. Here's a look at the Warren Worthington/Paige Guthrie romance from the second EXCALIBUR series. Some of you may know Rebecca Dart, but for those who don't she's a talented illustrator and animator who's worked on Mission Hill and My Little Pony: Friendship Is Magic. I've been following her art blog for a while now, and as you'd expect I was overjoyed to find that she has an art book out. But don't look for adorable ponies or cutie marks here, this book is full of grotesqueries, bloody violence and savagery, and creations that would make Big Daddy Roth say the future is in good hands. There are also a couple of comics, and you know what that means! Marvel end "Non USA produced superhero output"
How it all ties together. What we know about the DC reboot. Lois and Clark are not married, nor have they been married. Batman's history is largely unchanged, and has happened in the last 5 years. This means that stories like Death in the Family and Hush are in continuity. Note: I'm posting my sketch here again as some have stated they have not seen my previous post. Hellboy: The Fury equals EPIC. I had to post these pages from Hellboy: The Fury #2. They're so epic/metal Manowar or Dethklok should write a song. 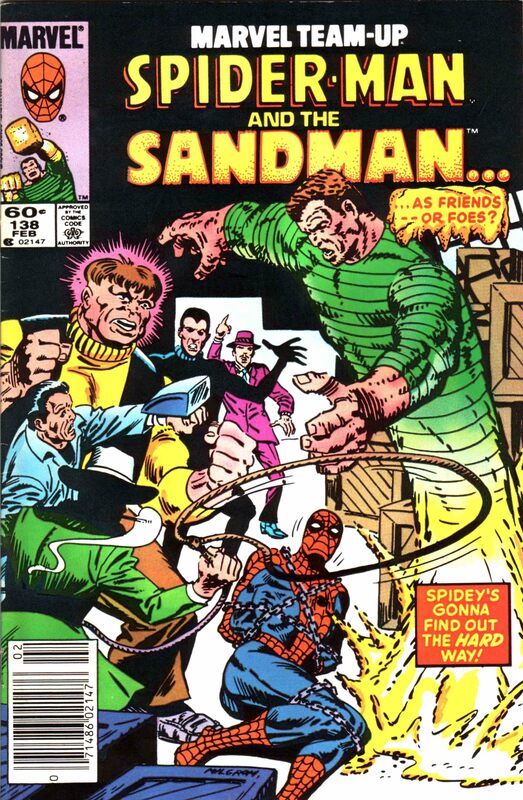 Comic Crossovers are certainly not a new thing they've been done for at least a good three decades or more. Heck we're seeing Classic Star Trek and the Legion of Superheroes soon enough. But one day I specifically thought about Marvel and DC crossovers and that when they occur it's always the mainstream versions of the comics (or some close variation) that crossover like in JLA/Avengers.